Borelli Investment Company anticipates starting construction this week on Saich Way Station, a roughly 15,000-square-foot, $10.4 million retail center at 2803 Stevens Creek Blvd. at Saich Way. The work follows the securing of a $6.4 million construction loan obtained through Heritage Bank, said Ralph Borelli, chairman of San Jose-based Borelli Investment Co. The project has already landed three tenants — the Melt, a growing San Francisco-based gourmet grilled-cheese chain founded by the founder of Flip Video; Blast Pizza, part of the emerging “custom-pizza” trend; and Vitamin Shoppe, the nutritional supplement superstore. That represents more than half of the space available, said Randol Mackley of SRS Real Estate Partners, which is marketing the center. Five retail spaces are still available. The Cupertino submarket has become sought-after for retailers, thanks to high household income in Apple Inc.‘s home town. But there are few new projects that have gone up in recent years. The Sobrato Organization has repositioned Homestead Square, a Safeway-anchored center, and Sand Hill Property Co. is under construction on Main Street Cupertino, a mixed-use center near Vallco Shopping Mall. Saich Way Station replaces about 11,600 square feet of retail space between Cupertino’s Target and Whole Foods, considered an extremely desirable location. In 2008, a fire caused some of the businesses in the center to close. The property owner decided to scrape the site and rebuild the whole center in a joint venture with Borelli. Working through city approvals took about three years. “It’s the No. 2 performing Whole Foods store in the entire chain, very desirable demographics and there’s very little ground-up development,” Borelli said. One example of the strong environment for new retail in Cupertino was the financing interest from banks. Borelli said about half a dozen banks provided proposals to fund the construction. “We had a lot of interest in it,” Borelli said. SiliconX Construction, an affiliated company of Borelli Investment Co., is the general contractor. Construction is expected to take about six months. Reprinted from the Business Journal – read it here. The Carlyle Group is buying Lincoln Court, one of the few higher-end office complexes in Campbell, in a deal rumored to be roughly $41 million, or $335 per square foot. Principal Global Investors is the seller. Campbell is a market with limited inventory, and brokers say the West Valley city is poised to pick up as tenants get pushed out of nearby markets such as Los Gatos, where Netflix has continued to gobble up space. In a sign of bullishness on the market, Carlyle is raising asking rents at the 124,000 square foot, courtyard-style building located at 2105 S. Bascom Ave. to $3.75 per foot, full service. Read the full story in the Silicon Valley Business Journal. Developer Borelli Investment Company and General Contractor SiliconX Construction have announced that Vitamin Shoppe has been signed as the anchor tenant for the Saich Way Station retail center in Cupertino. A leading specialty retailer and direct marketer of nutritional products with 500 stores in the U.S. and Puerto Rico, Vitamin Shoppe will occupy a prime 3,500 sq. ft. unit facing busy Stevens Creek Boulevard. Vitamin Shoppe’s lease means that only six units remain in the 15,650 sq. 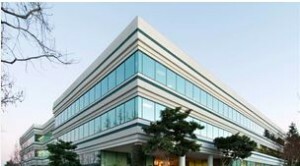 ft. center, ideally located at 20803 Stevens Creek Boulevard across Saich Way from Target and just down the street from Whole Foods. Spaces are available in size from 1,026 to 3,000 sq. ft. Beyond Vitamin Shoppe, Borelli Investment Company and retail broker, Randol Mackley of SRS Real Estate Partners, are in discussions with a dozen or so national retailers who are showing considerable interest in the center. A letter of intent for 2,800 sq. ft. of space has been signed with Blast 825° Pizza — a fast-growing chain that cooks pizza in minutes while guests move through the line — for one of only two restaurant spaces within the center. Lease terms are still being discussed. The attractively designed center consists of two painted concrete and plaster buildings with aluminum storefronts and canopies and modern lighting treatments. There will be extensive landscaping on-site, featuring orchard-quality trees to honor Cupertino’s heritage, as well as abundant raised and in-ground planters with seatwalls. The center will also offer ample parking, plus pedestrian-friendly touches such as wide walkways and bike racks in front of the retail businesses. FCGA Architecture designed the retail center with HMH Engineers handling the civil engineering details. SiliconX expects to begin construction by the early summer with the shell tentatively scheduled to be completed by around the end of 2014. For information about Saich Way Station, contact Larry Bengiveno at Borelli Investment Company at (408) 453-4700 or e-mail larry@borelli.com. For leasing information, contact Randol Mackley of SRS Real Estate at (408) 216-2316, or e-mail randol.mackley@srsre.com. Are You Ready for Some Silicon Valley Football? Few things conjure images of extreme excitement and fan devotion as football, and especially the Super Bowl. For cities that play home to National Football League franchises, they are gifts that keep on giving and giving. 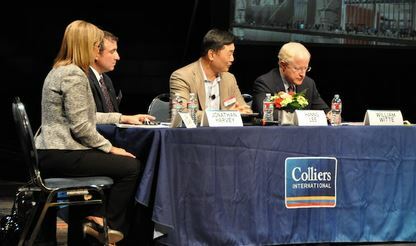 It is precisely the reason why Silicon Valley’s Fifteenth Annual Trends 2014 Real Estate Forecast, hosted by Colliers International on Wednesday in San Jose, made the new San Francisco 49ers Levi’s stadium in Santa Clara—home to the league’s fiftieth annual Big Game in 2016—the centerpiece of its commercial real estate panel. Jonathan Harvey, the Turner-Devcon project director of the 21-acre Levi’s stadium site, says the field will be ready for play on August 2, just 5 months away, when the San Jose Earthquakes will host their first soccer match there. The field itself is well underway and nearly ready to sod. The US Golf Association sand-based natural turf has been growing for the last year in Livingston, Calif., and the sod will be brought to the job site shortly. Since the project broke ground in late April 2012, the Devcon-Turner team has been busy preparing the 68,991 seat LEED Gold-certified stadium for its fall 2014 debut. Read the rest of the story at The Registry, here. 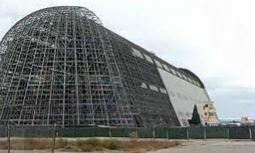 GSA’s Request for Proposals (RFP), issued on behalf of NASA in May 2013, kicked off a competitive process in which the private sector was provided an opportunity to collaborate with the government in rehabilitation and adaptive reuse of NASA’s historic Hangar One and management of the airfield through a long-term lease agreement. Read the rest of the story in The Registry, here. 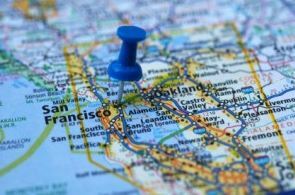 The San Francisco-Silicon Valley region experienced a sizzling 2013 in real-estate development and job growth that were fueled by a young technology crowd. More of the same is forecast for 2014 although the pace will not be quite as dizzying. Read the source article at The Registry, here. Bay Area real estate The RegistrySan Francisco and Silicon Valley will also increasingly become symbiotic as tech companies from the Peninsula to the South Bay continue to beef up their office presence in the big city in an effort to attract highly skilled employees who are seeking the urban lifestyle. Tempering the enthusiasm somewhat are factors that include rising interest rates and a shaky confidence from small companies concerned with the high cost of doing business in California. Harvest Properties, a full service commercial real estate investment and development firm based in Emeryville, today announced it has purchased 60 South Market Street in San Jose, California. Harvest Properties acquired the property from Ares Management with partner LaSalle Investment Management for an undisclosed sum. The transaction is the debut acquisition for Harvest and LaSalle as partners as well as the first investment for both in downtown San Jose. Investment brokers involved in the transaction include Jeffrey Weber, Greg Coith, and Edmund Najera of Eastdil Secured. 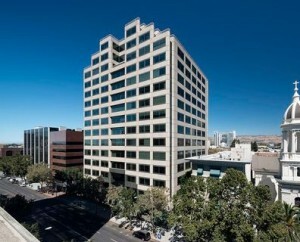 60 South Market is a 232,536 square foot, 14-story Class “A” office tower centrally located in Silicon Valley’s downtown San Jose. Prominently positioned on the east side of Market Street, the property represents one of the finest downtown office towers with recently renovated common areas and on-site amenities that include a fitness center, conference room and outdoor balconies. With easy access to Highway 87 and Interstate 280, the p roperty provides direct access to key commute corridors and is within walking distance to Caltrain, the VTA light rail, and a myriad of amenities including San Pedro Market. Read the full story at The Registry here. In an era of rapid technological progress, is there a reason that an office complex or classroom building—both housing lots of smart people—can’t elevate its own IQ? 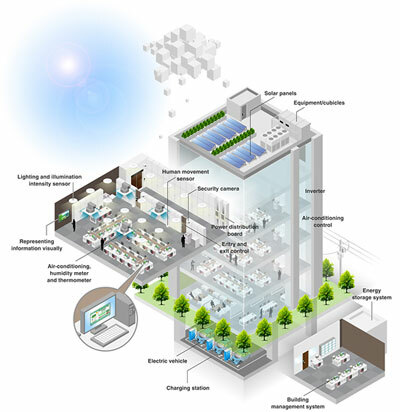 In a smart building, software allows communications among traditionally separate systems running everything from lighting, heating and ventilation to security and telecommunications. The systems’ convergence creates a single intelligent network that allows a building to react dynamically to real-time conditions using input from every source attainable. Moreover, smart buildings are the backbone of smart work environments, something that tenants increasingly want. Energy is typically the largest expense for any U.S. building owner or user, accounting for 30 percent of operating costs in an average commercial building, according to the U.S. Environmental Protection Agency. Overall, commercial and industrial buildings use $200 billion a year nationwide on power, producing nearly half of the nation’s greenhouse-gas emissions. Smart buildings are being credited with reducing energy use from 20 percent to 30 percent as compared to conventionally built and operated structures. Read the rest of the story at The Registry – here. When Rockwood Capital and Four Corners Properties bought the Water Tower Plaza office and retail building in downtown Campbell, the “walkability” of the neighborhood was cited in the decision to buy. According to Seattle-based Web site and research company Walk Score, downtown Campbell is a “walker’s paradise.” Its 94-point score on a 100-point scale makes it one of the most walkable neighborhoods in Silicon Valley. We in the Bay Area hear a lot about the virtue of urban living, including benefits for the air, natural environment and public health. The region’s preoccupation has been evident for years. First communities created “greenlines” beyond which development was no longer allowed (San Jose’s was established in 1996), then turned to high-density, infill development—preferably close to transit—to house more people and to get them out of their cars. If walkability is taken as a proxy for urban, Walk Score provides another metric by which to measure our progress toward a “better” (or at least more compact) place to live. San Francisco ranks as the second most-walkable city in the country with an overall walk score of 84.9. (No. 1 New York’s score is 85.3.) Berkeley has a community-wide score of 82; Emeryville an 80. They are the only cities in the Bay Area with overall walkability scores above 70. Read the rest of the story at The Registery – here.